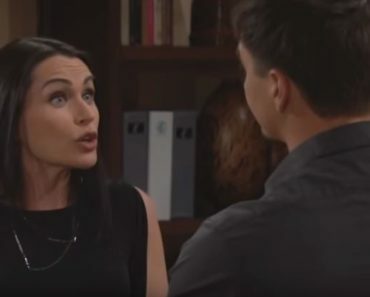 The Bold and the Beautiful fans have had enough death to last a while this year. The baby that Hope and Liam lost is too much for us to bear, and we don’t think there is even a chance we can face losing anyone else. However, that’s not how the soaps work. Now, we will say that if we are going to see some deaths around here, some of them might not be real. In that way, we mean that we might think that someone is dead, but they might just be trying to get out of town and make their problems go away. We firmly believe that anyone around here who dies in 2019 might just be someone who is not really dead and will make an eventual comeback, but we so think that there will be some death in the show this year. We don’t know for certain, but we are thinking that there is a good chance the deaths might be one or more of these people. Well, this just makes us sad. For one, we all love Wayne Brady. Everything in life is better with him around, but he is turning into someone we don’t think is the nicest person in the world. He might even be someone we cannot trust. No, we know we cannot trust him. However, we don’t know if we cannot trust him because he is a bad guy or because he is doing whatever has been told to him to do because he has to protect the life of his own daughter. Any father would put the life of his own daughter before anything else, so we would even understand if what we think he is up to is something that is horrible and real. We think that he took the baby that Hope had. And we think she’s alive. And we think that he is giving her to Steffy to adopt. We don’t know how or why or what for, but we are hoping it’s just to save his own daughter and not because he runs some sort of black market baby selling ring. But, if he does, he could die. We could see it happening. She’s been less and less of a person who we enjoy lately, and we could see writers realizing that she’s just not bringing enough to the table anymore. Even with her making choices to fight Donna and Pam, she’s not nearly been as engaging as we are accustomed to seeing her, and she does almost seem checked out of the entire situation. We cannot imagine that things will work out for her like this, but we aren’t sure. She could be someone who ends up leaving for a while to make sure she has the time and anonymity to do what she feels is necessary to get back at the people she feels wronged her. She is absolutely that kind of revengey person, and we can see it happening. But, that would involve probably allowing someone think that they killed her – and we don’t know how might do that. We already know that the actor who portrays Thorne is not coming back. He made the decision to not renew his contract, and we have to wonder if that means he might decide he’d rather show back up in Port Charles and resume his role of Jax when something happens to Carly or to Joss. We aren’t sure, but we think that this might be more of the case than anything else. However, the fact that he is already leaving the leaves the door open for some serious stuff to happen, and we are sure it might. There’s not much we can do but sit back and wait for them to decide how to send him out, but we do think they will send him out in a deathly way. But will this be something that Bill is involved in? Katie never seems to have any luck in love, and this might be another of her horrible love life issues. She’s not going to be very happy when her husband leaves her, but what can we do about that? He’s on his way out.